Dr. Gerold Schiebler and his wife Audrey Lincourt Schiebler are an admirable and exemplary team; working together on behalf of Florida’s children. 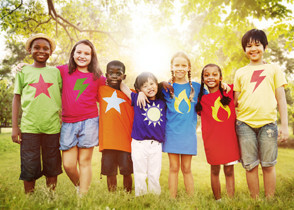 Their advocacy efforts, spanning over 50 years, can be seen through the establishment of many invaluable Florida programs including Guardian Ad Litem, Children’s Medical Services, Poison Control Centers, Child Protection Teams, and the Boggy Creek Camp for Children with special health care needs. The Florida Pediatric Foundation established this award in 2013 to honor the lifetime achievements of Audrey and Gerold. Schiebler. This commendable award will be given to a physician who has worked beyond the profession; educated local and state legislators; and diligently advocated to improve the health and welfare of Florida’s children. The FCAAP President-Elect, President, Immediate Past President, Executive Vice President and Executive Director will serve as the selection committee. Recipients will be presented this award during the FCAAP Annual Meeting. This award is given annually to a children’s surgeon who has contributed significantly either regionally or statewide to the Children’s Medical Services Program. Click here for a history of the award and Dr. Philip O. Lichtblau. The Children’s Medical Services medical directors, assistant medical directors or any individual within the CMS organization submit nominations that are forwarded to CMS in Tallahassee. Two nominations are then submitted to Dr. Craig Lichtblau for determination of the winner. The John O. Whitcomb, M.D., Outstanding Pediatrician Award is the FCAAPs highest award and is presented during Annual Meeting. 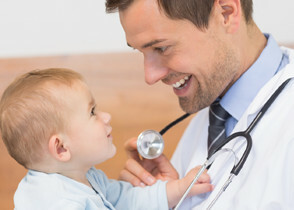 Established by the Executive Committee in May, 1997, the Award selection is made by the Board of Directors to those members who have exhibited outstanding service within their profession and among their community to enhance the level of health and wellness for children. Nominees should be active members of the Florida Chapter of AAP. Regional and Alternate Regional Representatives nominate a pediatrician in their district. Only one nomination from each district may be considered by the Board at any one time and must be accompanied by the candidate’s curriculum vitae, a detailed statement of activities for which he or she is being nominated, and any additional pertinent information. Recognizes outstanding medical students from the State’s medical schools. Recipients are chosen by the Chairman of the Department of Pediatrics at the medical schools. Presentation is made at graduation ceremonies.